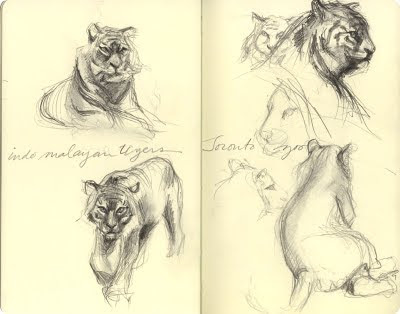 Very wonderful sketches, particularly the cats and peacock. 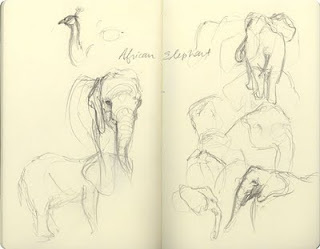 I have been followed extensively by the peacocks; what birds they are! 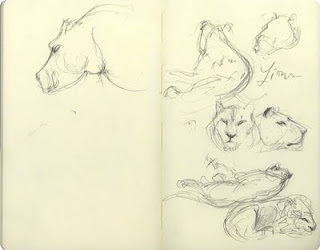 I'm not sure about sketching, but the zoo is quite wonderful in the winter, with many of the animals much more active and an opportunity to see the wolves prowling, a truly wonderful and entrancing sight. 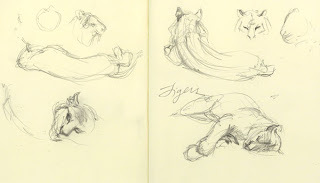 I don't draw well with cold hands, so I'll make a winter trip to walk the zoo's new "tundra trek", but I'll probably stay in the pavillions to draw. 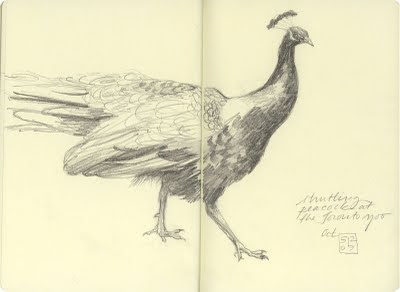 A friend of mine told me some tales of peacock harrassment last night--seems they're better seen than heard.